The best! I look forward to visiting again soon! So as much as I love the NHS, if you're disabled and living in Wales you're unlikely to receive much more than emergency services and free medication (which is a plus!) from it. Along the way you do find alternative routes to get the input you need and City Marshall has proven, for me, very much one of them. Not only do you get a deep and penetrating massage which leaves you feeling so loose for days, but Philip is also highly knowledgeable of other avenues that may be able to improve your quality of life, such as diet (and not in the standard 'eat less/exercise more' way!) and other therapies to seek out. Shiatsu and Sports Massage. I have been struggling with stress in my mid/lower back and shoulders which has been affecting my work as a musician. A series of treatments from Philip has helped me enormously not only physically but emotionally. I believe that shiatsu can have a really positive effect in coping with the pressures of modern and daily life. The massage has left me feeling revitalised and free to continue in my work. Talking with Philip makes you think of many issues that helps to keep that feeling of wellbeing and relaxation. I would like to thank him for his help and advise. I highly recommend a series of treatments to help you through difficult times. I will definitely be going back on a regular basis. This guy really helped me out while traveling on holiday. He has 20 years experience and was able to get me out of pain and provide some very good advice for my situation. He seems to want his clients to become less dependent on him by following his advice on things to do at home. I have had acute cervical and back pain for some time. I went to City Marshal due to the specialisation in Myofascial pain. After having been through several physiotherapist I have found a great relief in the pain after Phils treatments. Had a kink in my neck that had been bothering me for a few weeks. Had already tried a Thai massage to try and get it worked out. Philip was able to get it out, very friendly, explained what he was doing and why your muscles could get so tensed up. Would definitely come back if I'm in the area..
Go On - DO IT! I have suffered from back pain for a while and my most recent attack almost made me cancel a holiday as I was in so much pain. A visit to Philip sorted me out and within an hour I was able to stand upright again. In addition to being a very effective therapist, Philip is a mine of fantastic information on many topics of diet and health. Whether you have a problem that needs fixing or you just want a relaxing massage, go and see Philip. Do it. Exceptional Knowledge and Results. Philip Marshall is an outstanding practitioner. He is extremely well qualified, experienced and knowledgeable - continually researching in his field to give clients the best treatment and information. This is not a 20-30 minute temporary relief - sessions can be 60-90 minutes long working intensively on all aspects of alignment, muscles and deep tissue as needed. The session can incorporate many different massage techniques, because of Philip's extensive skills, to suit different needs. Philip has the most lovely and encouraging manner - I was most impressed with him getting to the bottom of WHY I had a problem - not just HOW to treat it. I know what I need to do now to avoid the problem recurring and that's a first! Highly recommended for any pain/tension/stress condition from which you are suffering. Holistic Healing. This lovely man is a true gentleman, offering treatments and helpful advice, he is like a wise owl...... The reiki and shiatsu is a little piece of magic in my busy life. I would highly recommend a visit. Plain Talking Excellence - Massage and Observations were Perfectly Life Changing. It is difficult not to repeat the praise already given to Marshall by others. The chance visit to Marshall has changed my entire life, as well as that of my family. My 12 year-old daughter was present in the room with me, and she took almost all of what he said on-board. Which is a miracle in and of itself. Marshall speaks plain English and for a man with his obvious expertise, it is remarkable that he does not hide behind Latin phrases and elaborate clinical terminology. One simple thing that he said that resonated with my entire family is that “the human body has evolved over 3 million years, whereas conventional medicine has been here for less than 200 years. If you learn to work with your body and not against it – you will always win”. Marshall will teach you everything from correct posture to perfecting your nutrition and he does it in plain English. A true gem. Trapped Nerve Fast Results. I found City Marshall by chance, after trawling the internet in absolute agony City Marshall popped up and on reading all the fantastic reviews I felt I had to give it a go. I've had four treatments now and can't believe the difference in my neck and back. I didn't realise how painful a trapped nerve could be thank you Phillip it's great to be out of constant pain definitely the best massage I've ever had. Great Deep Tissue Massage. Great massage - asked for deep tissue and got exactly that. Feel fantastic. Phillip really worked out the knots that were causing me a lot of pain and gave me good postural advice to prevent the pain from coming back. Foot Reflexology. I visited Cardiff for five days on business and I choose Marshall reflexology clinic due to their location and excellent reviews. I have reflexology at least twice a month, but in Marshall's case, I went back twice in the same week for reflexology. The treatment itself was fantastic, the sleep I benefited from for the duration of my trip (and for a whole month after) was peaceful and uninterrupted. His knowledge of sports nutrition and general diet tips are fascinating. You will pay double this in Germany and receive much less benefit. Happy to recommend reflexology here to everyone. So happy that I read the reviews on here and made an appointment with Marshal way in advance. The treatment was a real eye-opener. He told me more about my own body and taught me so many obvious mistakes that I have been doing - that he was the highlight of my trip to Cardiff. Make no mistake. The massage is amazing - a real treat, which felt like a true master with bags of experience. But he also spent about 25 to 30 minutes analysing my poor posture, teaching me how to walk properly and even explained the importance of vitamin D. There are no words. Simply unmissable - go there, and you will be enlightened. Professional. I suffered from bad muscle spasms around my neck, shoulders and scapular due to a combination of bad posture at work and an injury from the gym. City Marshall helped alleviate the pain and spasms after just one session with a combination of trigger pointing and soft tissue massage, with anti-inflammatory oils. He is very experienced and extremely knowledgeable. Also giving me additional advice on stretches and key nutrition. His high price reflects his very high skill set and expertise. You definitely get what you pay for!! Best massage Ever! I had 2 hours shiatsu massage and it was amazing! I have tendinitis on my left shoulder and since the massage I have no more pain. I am a massage therapist myself and I'm amazed with his knowledge in the human body. I wish he was here in London so I could go more often. Although I have been very active up until a few years ago, I have always had poor knees and ankle pain. Probably due to my jogging and gym wark. At 68 I have been diagnosed with rheumatoid arthritis and put on a waiting list for replacement knees. After seeing Philip Marshal for three sessions, I have changed my work-out routine as well as my diet and have never felt better since my 40s! In fact, winter used to always be a real 'downer' for me, but over the last two months my energy levels have been fantastic. Despite persistent offers of an early pension, I have decided to carry on my regular work and have not taken any pain killers or other medication for weeks. I feel very fortunate to have such an accomplished practitioner so near to me, and have already recommended four of my friends to Marshal, with great results. Thanking you kindly! Shiatsu Magic! I'm a natural therapist myself. But I had no idea that one session could fix so much. Maximum effect. Minimal discomfort. Philip is a true miracle worker. I left feeling good and as the day went on it kept getting better and better. And not just my back. My spirits are lifted and I am more energised. I've had more holistic therapies than I can remember. But nothing has come close to this one. On Google: I have had more holistic treatments than I can count. But this Philips shiatsu treatment blew my mind away. I went in with a terrible back thinking it would take several treatments to just be able to get to the point I am at less than 24 hours after one shiatsu treatment with Philip. Coming here for the last two years - fantastic massage and great results. The variety of massage skills on offer here is amazing. I know for a fact, if you are in pain or any muscle ache - this is the place to come. Been visiting my nan as frequently as I can, coming down from Cheshire - and it gives me an opportunity to have another treatment when I am in Cardiff. I have never felt better in my life. Thanks again! Lower back pain and lumbago pain - now gone! As I live in Swansea, I can only visit Cardiff every 2 or 3 months. When I do, i always make sure to book Marshall Massage well in advance. Thai massage, deep tissue sports massage and even reflexology treatments - all are amazing for my back pain relief. In the last two years I have been learning so much from every sessions and always go back home feeling fantastic. The once chronic lower back pain that I learned to live with since my early 30s - is now totally gone. He taught me about posture at work, sleep posture and even about anti inflammatory ways of eating. If you have back pain, be sure to visit them. Make sure to book your treatment with plenty of notice. Well worth every penny. Cardiff half marathon best prep. We saw Marshal at very short notice, and despite his busy schedule around the Cardiff half marathon, he not only gave us a fantastic pre-event treatment, but also provided detail tips for ongoing maintenance as well as best pre-event and post-event diet and hydration options. This therapist is highly knowledgeable with bags of sport nutrition expertise. Although this was my 5th run, this was my easiest one with practically no soreness post event. A lot to do with the treatment and fascinating diet insight. Thank you! My wife and I had this treatment here - It was new to me. I really enjoyed it and felt completely relaxed. Great staff, clearly skilled at their job. The venue needs updating though in my opinion. But it wouldn't stop me going again. Amazing massage and great nutrition advice. Was on tour with a band and was having shoulder trouble. This was a very professional and thorough massage. Really helped my aches. But on top of this I received amazing nutrition advice and also was given a piece of kafir; good bacteria. Basically an incredibly healthy culture which you can grow by adding milk to. I've been using it since February and it's helped amazingly well with some digestive issues I've been having. This is an incredible place for massage and holistic health in general. Highly therapeutic.I really didn't know what to expect. I had severe stiffness in my legs & lower back & thought a sports massage may help resolve things. Excellent. Making great progress in my recovery. Philip provides great advice and treatment. I have had a trapped nerve in my neck for a long time, with my shoulders and neck constantly being tight and gave me pain. Since I have started coming to City Marshall I have definitely seen a great improvement and my neck/shoulders are improving. Excellent deep tissue massage. I injured my shoulder while visiting Cardiff and I was in a lot of pain. Philip fit me in the following day and again two days later. His massage was incredibly helpful and after the 2nd visit I was no longer in constant pain. I would have gone back again but I had to head home. He is very knowledgeable and also gave helpful advice on stretches and holistic rehab. Professional for pain relief & diet advice. Good listener and good therapy advice according to your health needs. It has been quite an eye opener to the importance of diet and strengthening of my core posture. Excellent massage relief. Highly recommended. Good value for money - L Clayton. Professional, relaxing, rejuvenating & informative experience. Philip is an excellent masseur that is highly knowledgeable in his field. I have been back quite a few times and every time I learn something new about maintaining my health and wellbeing. I highly recommend. CITY MARSHALL - SPORTS MASSAGE AND HOLISTIC THERAPIST. Excellent service, very professional. Good practical advice, a very careful listener - excellent massage, supportive, diligent and most of all helped to resolve my problems in three visits. Highly recommended, worth a visit. Marshall Massage has changed my life in three months. We are celebrating today, as I got the all clear from my GP – thanks chiefly to Philip Marshall and his incredible treatments and diet advice. For five years I was in pain, on anti-depressants, gaining weight rapidly and diagnosed 3 years ago as type 2 diabetic. My GP told me that type 2 diabetes is an irreversible condition that will gradually get worse. I first saw Philip 3 months ago. YES. Just three months ago, and today I am no longer a diabetic, no longer on anti-depressants and no longer in pain. I am also 25kg lighter and feel like a brand new person. My GP said I am the first type 2 diabetic that he has seen reverse their condition. My celebration tonight will be at the Smoke Huis with a large mixed grill and I will enjoy it thoroughly. I have learnt, thanks to Philip, how to look at food in a totally different way. I now know more about my own body than I ever thought possible – and I feel totally in control. Thank you so much, for giving me my life back. Amazing massage treatment. Having experienced severe muscular chest pain for over 2 years with several other therapies attempted, I was very grateful to come across City Marshall Massage. In the 8 weeks the massage therapy I have been receiving has given me my life back. I have a very high intensity job and the strain on my already severe pain has reduced significantly. Not only is the massage therapy amazing it has meant I have been able to return to doing the things I thoroughly enjoy. I have also had a recent diagnosis of coealiac disease and the knowledge that Phillip has shared with me has meant I am healthier and eating much better benefiting not only my health but my recovery. Phillip is an amazing professional in his field and I cannot recommend him enough. A visit to City Marshall Massage will help anyone recover and Phillip can suit the treatment to your individual need. He takes time to treat not only your physical condition but also nutritional always taking the time to chat before massage. I am convinced you would not be disappointed with his amazing work. Cardiff massage. A massage at City Marshall was a reel treat. I didn’t know what to expect, as it was a birthday gift from my girlfriend. From the moment I stepped into the building I felt calm and at ease. The therapy room itself is gorgeous and very tranquil. Marshall spent at least twenty minutes advising me of the various treatments and possible benefits and gave me many tips about correct posture and nutrition. The deep tissue sports massage was amazing. Not like anything else I have ever experienced. You would be very wise to book ahead and be prepared to listen and learn. I can’t wait to go back! Excellent treatment. Worth every penny. Would highly recommend. Best massage in Cardiff. This is one very special therapy centre. I have been to many and trust me – Marshall Massage is unique. The therapist is genuine, caring and attentive. He listens and then advises with a lot of patience. He certainly knows his stuff and knows how to put you at ease. His spectrum of medical knowledge and qualifications is very impressive and his many testimonials are no surprise to me at all. It has a free car park at the back and Queen Street station is 4 or 5 minute walk away. Bravo! Amazing massage in Cardiff. One of the best decisions I have ever made was to have a massage with Philip Marshall after reading the reviews on Trip Advisor, having just moved to Cardiff I was looking for a good therapist for a back problem I have had for quite a number of years. Philip certainly didn't disappoint, he is just such a hands on guy and knows exactly how to treat your individual condition, my back has improved so much (and continues to improve) since I started seeing Philip. He takes the time to have a chat with you and also gives great advise regarding nutrition. If you are looking for a good treatment for a particular problem or just for pleasure I cannot recommend Philip highly enough. Give him a go you won't be disappointed. Fantastic!! I have been visiting Phillip for the last year - I have chronic psoriatic arthritis and I suffer from excruciating back pain. On my first visit, I spoke with Phillip, explained my issues and what I wished to achieve from my visit. Phillip explained in detail what he thought would be the best course of action and we took it from there. I have found Phillip to be extremely professional in his work, I have benefited a great deal from his expertise and I enjoy visiting him. He has a great deal of knowledge and is happy to explain anything I'm unsure of, or anything I wish to know more about. I would recommend his service to anybody - from those looking for help with body issues to those wanting a relaxing massage. Thanks Phillip!! A Master of his craft at work. Arrived at City Marshall for the first time on Thursday 16th July 2015 have been suffering since Feb 2015 with a ruptured achilies, my rehab was being severely impeded by fluid retention leading to excessive swelling. Following only one session with Phil Marshall the swelling was reduced by 95%, now 10 days later following a further 4 sessions with Phil, the fluid swelling hasn't returned, I'm confident it wont. As a result of all this my rehab has taken significant steps forward, I couldn't be more pleased. Phil has also helped me with a temporary respiratory problem due to inactivity since the date of my injury. Coupled this with Phil offers a constant flow of simple advise on lifestyle improvements and dietary changes, for me the experience has been so worthwhile. 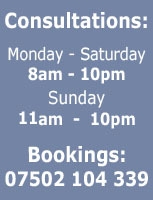 I would recommend Phil's services to anyone with ailments or maybe someone who simply needs revitalising. Dedicated and knowledgeable. I'm currently having treatment with Philip Marshall at City Marshall massage Cardiff for Myofascial Pain Syndrome among other muscular issues. I find him to be very attentive, dedicated, knowledgeable and free with his overall health advice, as well as being able to pinpoint areas of discomfort and eliminate tension in those areas. I believe him to be a very skilled massage therapist who really walks his talk, and I would urge anyone with an ongoing health concern to seek Philip's advice and treatment. Would highly recommend. I have had my fair share of treatments before but this was an excellent remedial massage. He really knew what he was doing and individualized my treatment. He explained what stretches would help me and created an essential oil blend specific to my needs. If I lived in Cardiff I would be a regular. Isabelle P, Irvine United States 9 July 2015- on YELP! Superb Shiatzu therapist - highly recommended. I have been attending City Marshall for Shiatsu and reflexology since March. Prior to this I had various massage treatments with a variety of different Therapists. Without any doubt the treatment Philip provides is second to none and puts the other sessions I have had to shame. Philip's treatment is tailored to the client's needs and issues. My energy levels have increased and problem areas have either recovered or significantly improved. I would not now consider any other type of treatment/massage or any other Therapist. Well worth the fee charged. Shiatsu and deep tissue sports massage. It has been two years since our last visit to Cardiff and we were really looking forward to our treatments. We were happy to see that City Marshall has stayed in their same great location - and the therapy room itself is as calming as we remembered. We both had two aromatherapy products blended, as we enjoyed the ones we had purchased last time so much. As for the treatments - simply superb! I have been to quite a few London therapist that charge double and are nowhere nearly as good as Marshall. I opted for the full 2-hour VIP Shiatsu massage including a heavenly Shiatsu face massage and my partner had the 90 minute sports treatment. Thank you so much for fitting us in at such short notice! Would highly recommend. Hot stone treatment was both relaxing and rejuvenating. Best massage I've had in the UK, so will definitely return. Good value for money too! Wonderful massage therapy. I visited City Marshall Massage due to back and neck pain from an illness I have. The morning before my appointment I had extreme pain and discomfort which brought me to tears, conventional meds don't help my condition so I was depending on City Marshall to help me. I was not disappointed, the therapy was perfect, he made me feel comfortable, at ease and knew exactly what I needed. I left the clinic feeling so relaxed and came away with some good advise. The next morning I woke up feeling very well, with no pain and feeling positive. I have taken all the advise given by him and will definitely keep returning for therapy. It is an excellent clinic and with a very experienced and talented therapist. Excellent find in Cardiff city centre. City marshall massage is an excellent therapy clinic to visit. He is extremely professional, attentive and fantastic at what he does. He will go out of his way to fit you in for an appointment at what time suits you and that is rarely found these days. He makes you feel settled and gives you the full time of therapy that you have paid for. The facilities here are very good, i would reccomend any one needing treatment to visit him first and dont waste money going anywhere else. On the day treatment and massage excellence. In Cardiff as on a UK tour and woke up with excruciating back pain. Needed it looked at ASAP. City Marshall managed to fit me in between shows and worked wonders with my back. Not just a massage but really looked at the problem and worked on my whole body. Terrific! Sciatic pain discomfort - myofascial release. I have enjoyed my visitt to Marshall massage therapy clinic in Cardiff. He appears to have 20 years of great experience in sports injures, and pin-pointed my needs and addresed them within 10 minutes of seeing me. We focussed on myofascial release of my trapped sciatic nerve. It is now two monthes later - and there is still totally no pain! We had two times a full hour session, and both times, I was given an extra 15 minutes or so of free time when we further dicussed diet, nutrition, ways of streching and general well-being. Marshall is an exceptional talent and you should seek him out on your visit to Cardiff. Shiatsu acupuncture. Marshall gave excellent service and is extremely knowledgeable about nutrition. I had a Shiatsu acupuncture treatment and have never experienced such profound relaxation and calming sleep for many years. Sheer bliss! Hopi ear candling and Shiatsu. I have booked a session with Phillip to help my body relax after intense exercise. All my expectations were not only met but also exceeded. Phillip also taught me about the relevance of magnesium and vitamin D for which I am grateful. He was very helpful and professional at every step. During the session, I particularly enjoyed Hopi ear candling, which was not only relaxing for my body but also for my mind. I recommend Phillip's 'City Marshall' with no hesitation. I have had chronic pains in knees, hips and shoulder (and tightness pretty much everywhere) for a year and a half now. This is as a result of long term postural issues and being hyper mobile. I'm 20/21 and a student at Cardiff University. The sessions with Phillip, along with stretching every day and partaking in activities such as pilates/yoga and the gym, have resulted in huge improvements. Phillip's massages and advice have been instrumental in my recovery and I have made substantial changes as a result in my daily life. I now have a very healthy lifestyle, exercising every day and eating a very healthy diet. I also had very low energy and on Phillip's advise I had a blood test for vitamin D. I was very low (range for a normal person is 50-100 and I was at 46). I now take a vitamin D supplement every day! If you want to positively improve your life I highly recommend Phillip! There is only so much you can do by yourself and massages allow for increased mobility, flexibility and improved posture. Lymphatic drainage massage - excellent treatment and advice. Had a lymphatic drainage massage with hot stones and a blend of specially selected essential oils. Philip explained exactly what he was doing, why he was doing it, and how I will feel. The treatment was very enjoyable and the results were excellent. We discussed my entire lifestyle and diet habits and I was offered a lot of excellent advice about nutrition and subtle changes to diet. The recommendation about a vitamin D test was very surprising and I have since tested and discovered a huge deficiency of vitamin D as well as magnesium. These are now been addressed and I feel a huge improvement. All said, I would highly recommend that you see Marshall, for a series of treatments, or even for the one visit - you will learn a lot. I had a Full Body Massage with Personalised Aromatherapy Blend and have awarded it 5 stars. I've had a back problem for 10 years that Philip got rid of after my first session with him. Been a further 2 times and my back is so much better! I had different massage treatments over a period of two months and they were carried out in a very friendly and professional way. My ailments have almost gone and my overall health and wellbeing have significantly improved. I certainly recommend this business. An enlightening experience. I found Philip, (city marshall) while on the internet looking for somewhere I could get some relief for back pain, that I have had for quite a long time. I have several illnesses one being Multiple Sclerosis, which is the worry of my life, so I contacted Philip and made an appointment. It was the best decision I have made in such a long time. After the first session of shiatsu, my back felt so much better and to my astonishment I was now walking in a straight line. Before this, I was very unbalanced and would keep bumping into people while out. I am now on my third visit and things have improved greatly for my total health. Philip seems to love what he does and puts so much of his energy into each massage it makes you feel replenished. He has provided me with so much information dietary wise and is a very knowledgeable man. After years of popping pills, Philip has shown me that there are other natural ways of helping yourself and I can honestly say I feel so much better for taking his advise. I would recommend everyone to visit him at least once in their lifetime, he is a total gentleman who is brilliant at what he does!! I am still not completely how I want to feel in regards to pain, however there is definite improvement and I will be going back to him in the future. The price is justified for the quality of the therapy and for me has been worth it. I have done a number of sessions of reiki and shiatsu with Philip. All in all I would highly recommend Philip to anyone that I know. Fantastic massage. After reading so many different good reviews I decided to try a massage at City Marshall, Cardiff and was not disappointed! I had hip and shoulder problems and had seen various therapists in the past. Phillip took his time during the consultation to find out which areas were causing problems and I was particularly impressed with his broad knowledge of complimentary therapies/diet/nutrition/sport injuries/stretches. I also suffer from heartburn and he advised me to avoid certain foods. It s great to be able to have appointments at short notice and I would highly recommend Phillip as a complimentary therapist. BRILLIANT DEEP TISSUE MASSAGE. I Moved to Cardiff in September, and having had a back problem for seven years, I needed to find a good massage. Where i lived before I have seen a physiotherapist and also a chiropractor which helped short term and I had been having hot stone massage every month to ease the discomfort I felt on a daily basis. The first hot stone massage I had in the area I live now was not very good, and I felt no benefit from it at all, so I decided to check trip advisor and found Philip, and I am so glad I did. I felt a slight improvement after the first visit so knew that I would go back. I now have had five treatments and believe me they are sometimes so uncomfortably painful, but what a difference they have made to my back and my life! Philip tells you exactly what he is doing, he is also so knowledgeable regarding looking after your health. I look on the treatments as an investment in my health and will keep going until I know my back is OK. I would highly recommend Philip as he knows exactly how to treat your particular problem. Best therapist in Cardiff without a shadow of a doubt. I first went to see Phillip after re-injuring my lower back. I had previously visited chiropractic clinics and physiotherapists and the issue was still unresolved for many years. After 5 sessions it has certainly helped me in reducing the pain and stress I had felt. Phillip is a genuine and knowledgeable man who cares about all his clients and creates an atmosphere that is suitable for all. I feel that the price you pay for his services are justifiable, as the wide variety of quality therapies provided can really make a difference for people's lives. I have had 3 sessions so far with Phillip, who is treating me for back problems which are very painful. After the first session, the constant pain in my arm had lessened significantly; after 3 sessions, I am now able to sit comfortably and in different positions. I have also been able to discuss nutrition and posture with Phillip. The first couple of massages were a little painful as my muscles were in such poor condition, but the massages themselves are becoming more relaxing now as the muscles are mending. I'm very impressed, and I think that the treatment is working well. I intend to keep up with regular maintenance massage once the immediate problem is resolved. With his expert care and professional manner, Philip seamlessly blends sports massage, Shiatsu and other complementary therapies, including dietary advice. His attunement with his clients' needs is second to none and his gentle and intuitive composure makes you feel relaxed and in extremely capable hands. I cannot recommend him highly enough. He has helped me with anxiety, IBS, a trapped nerve and all manner of other discomforts. Plagued by neck and back pain, which persisted despite trying a range of different therapies and exercises, I was very pleased by the effect of just a couple of treatments at City Marshall. The care and attention, and ability to destress painful muscles, are outstanding - in fact I am amazed at what they can do. My singing voice has been transformed by tension reduction in my back. Very good, knowledgeable and professional therapist. Lovely mix of aromatherapy oils, relaxing massage and advice for better health and diet. Warm and welcoming, excellent service with exceptional knowledge and know how, I wouldn't go anywhere else for my massage. I would highly recommend Philip based on my excellent experience. I'm particularly impressed by how much information he gathers in order to really tailor the treatment to the individual. Most massage places I've been have felt quite generic and rushed where here is someone who offers a wealth of knowledge and obviously likes seeing positive results in his clients. Every massage/session has been very relaxing, informative and I've come away with obvious benefits. Excellent treatments. I have been training for my first ever Cardiff half marathon. As I have been introduced to Philip last year, it has been very useful. I have totally changed my diet and have started relaying a lot more on fat and less on protein. Which my doctor likes, and my body likes even more. Philip's streches are great and his warming up sequance is fantastic. Although there is no real need to actually run the full 21km before the race, I have already ran it twice, comfortably. This week I saw him twice and intend to see him again immidiately after the race on Sunday. His advice is amazing. Thank you so much. With great sincerity I can recommend Marshall. Excellent massage treatment and I was treated to more than 20 minutes of free consultation time with diet, nutrition and stretches information that were very useful! Make time to go there! I have been to to many places for massages but city Marshall was by far the best. Philip really knows his stuff! Also my nan had treatment for a trapped nerve she has been suffering with for months and after one treatment she has no pain what so ever. Amazing! True healing hands. Will definitely be back. I have had both massage as well as reflexology therapy treatments at City Marshal in Cardiff. Their location is excellent - very near to all central hotels - and they even provide free parking. The treatmetns I had together with my partner were superb. It is obvious Marshall is extremely knowledgeable as well as very gifted. His advice was very detailed and he explained all that he did with a great amount of care and attention to first finding out what I wanted and then tailor his treatmetn accordingly. Hence, we combine reflexolgy together with a body massage using hot oils (lovely!) and my partnet had a deep tissue sports massage - which he enjoyed very much. Must admit that I am very impressed. I have had fibromyalgia with chronic pain for the last ten years. No amount of chiropractors or regular physio has ever worked. Even steroids were short lived. I have had 4 sessions with the main practitioner, Philip, and the results are amazing. A huge improvement and almost no pain. He addresses things like nutrition and diet as well as correct posture and general maintenance. He makes you feel extremely welcome and the treatments and subsequent advisory sessions are never rushed or hurried. Go there for the fantastic and effective benefits and for the personal touch. Many thanks! As a tourist with little WiFi time, I tend not to write reviews. But this time I will, as the massage treatments was really fantasich and everyone should know about this place. Even as a casual massage visitor, Marshall made an extra 20 minutes time for me to be sure that I will take all the great knowledge from his expertise with me back home. I will be sure to come back every time I am in Bristol or Birmingham, as it is worth the journey!. I booked massages for myself and my partner with Philip and we both greatly enjoyed the experience. Philip built in the time to get to know me and understand what I wanted, while recommending the best massage for me. I felt that Philip put a lot of effort into this which results in a very personalised service that best benefitted me. Philip took time to explain everything to me and check I was comfortable with the different things he used. The massage itself was fantastic. I asked for a relaxation focused massage as I had been going through a very stressful time, but with emphasis on my back and shoulder which had been causing me pain. Philip mixed oils together to best benefit my body which smelled lovely and added to the relaxed atmosphere with the gentle music too. I felt relaxed and invigorated at the same time afterwards, and my back was really improved for several weeks. I also found I slept better after the massage, with my body able to properly relax. Philip used towels senstively to ensure I felt comfortable, and the bed used for the massage was comfortable too. I will certainly be returning. Overall I felt this massage gave good value for money, the session was full and personalised. My partner had a similarly excellent experience, with Philip recognising the tension and stress in his head and paying particular attention to this part of his body, which apparently made him feel much better afterwards. Overall, Philip was very therapeutic in his approach, and the experience was soothing, relaxing and contiued to benefit us for several weeks. We are looking forward to returning soon. My husband and I were only in Cardiff for a day and had been traveling in the UK for 11 days. At the time I was 24 weeks pregnant and had significant aches and pains. I contacted City Marshall via their on-line web form and he was able to work me in that afternoon. It was much appreciated and the prenatal massage was fantastic. He also did a custom blend of essential oils just for me - I was able to pick the scents I most enjoyed. I would recommend! Jesicca S, Spring, Texas 3 June 2014 - on Yelp! The sports massage at City Marshall was superb. I have visited many chiropractors and physiotherapists over the years, but still my expectations were already very high, due to the rave reviews. Still, Marshall exceeded these expectations, and then some! The consultation before the massage was thorough and meticulous, the massage itself was deeply relaxing and the aftercare advice that followed was so detailed and insightful, that it was worth the trip on its own merits. Go there and be prepared to learn so much more about herbal medicine, nutrition, diet, stretches, posture and ways to avoid RSI. Book as early as you can! Great hot stones and hot towel massage. Marshall has amazing therapeutic skills, as many people already remarked. He also manages to create a wonderfully welcoming and warm atmosphere. I had the hot stones massage with hot oils and warnderfully pampaering warm towels for both the body and the face. The hot stones are really very soothing after a full day of sightseeing. If you take them on their VIP upgrade option it even includes a hot foot bath. Can you imagine the bliss! Very great massage. After 7 years of chronic pain and serious discomfort, and following at least a dozen visits to other physiotherapists and chiropractors, I finally listened to my wife and went to see City Marshall. She has been a client of theirs for over 3 years and has had amazing benefits in much better sleep as well as less anxiety. I have now been three times and it really is quite amazing. The first session was already so wonderfully informative and educational! From here there is really no looking back. I now know that I am in very competent hands and the pain has already subsided dramatically. I can very highly recommend to anyone suffering from chronic pain, sleepless nights, muscular tension and such like - The best massage therapist in Cardiff. After a bad fall 20 years ago I received treatment through the NHS and privately and no one could find the reason for my injury, so I was told after many months that I would just have to put up with the pain (no MRI Scans available then). I struggled back to work and have used conventional physiotherapy and osteopathy since. Six years ago the pain became so bad that I was sent for a MRI Scan which revealed that I had a bulging disc pressing on the sciatic nerve and I would need an operation, which I subsequently had. Anyone who has a long term injury will know that the pain is not just in the area that was injured but it can affect different parts of your body. I found Philip last Autumn and I cannot tell you what a difference he has made to me. I decided to have the 5 treatments in a short time and after the first two I could feel the difference. No-one is going to cure my pain, I will have it for the rest of my life, but I decided that I was going to put myself in Philips very capable hands. I am going to be with Philip for the "long haul", because I know that he can make a difference to my whole body. Philip is a very caring, considerate and gifted person and I feel at ease when I go for my treatments and I am off to see him today. I attended a course of sports massage treatments for a long term injury. Philip is extremely knowledgeable and gives plenty of helpful advice. The treatments he carried out for me were exemplary, both massage and stretches. I have attended a few different sports therapists in the past and can confidently recommend that City Marshall is the best. The experience was really beneficial, not only was the massage soothing but the session was also very informative. Phillip is a very knowledgeable person and is very good at explaining things. The aromatherapy oil blend he created for me is really helping me remain calm and focused during this revision period. I look forward to making another appointment in the near future. I have had a problem with my Shoulder for a while now when reaching for things it used to send a pain down my shoulder and I have a large knot and cracking sensation when rotating it, however after visiting Phillip, it has become a lot easier. He gave me exercise's to do which I found helpful and educated me on my posture and little everyday things I could do to ease the pain. I don't experience the pain I had before with my shoulder. I have had many back massages and none of then released the pain I was experiencing till this one, I didn't think it was possible which is why the service and quality was better than I expected. Philip creates a peaceful oasis in the centre of Cardiff. He goes out of his way to make you feel comfortable and relaxed from the moment you walk through his door. Treatments are fabulous. I have never had the desire to go back to the same massage therapist but Philip is so fantastic that I see him regularly and have done so for about two years now. Philip's knowledge is way beyond massage, muscles and tightness; he always has a piece of advice for you that is very valuable. Never in a rush, Philip gives you all the time you need, assures that you receive the treatment that most suits your body and condition and makes you feel like the centre of attention. It is also great to be able to get appointments at short notice when you know that a good massage will help you to feel better immediately. Philip helped me to release a complex childhood trauma that I had been struggling with all of my life. Philip is a gifted professional with exceptional healing abilities. I have the highest regard for the work he does and his authenticity. Went for a sports massage and reiki healing after being recommended by a friend. Absolutely delightful, a very lovely man and such a delightful experience. I left feeling very relaxed and knot free, would highly recommend. I have been medically diagnosed as having bi-lateral inguinal hernia's and I found City Marshall on the web in the hope that I could ease my discomfort whilst waiting for an operation date. I found Philip to always be professional, most courtious and highly knowledgable about the symptoms of my complaint and the hernia massage I have now had on several occasions has significantly improved my quality of life from not being able to stand for any long periods without significant discomfort last September to being able to presently go about my day to day business without too much trouble. He has always made it very clear that his therapy will not cure my condition, but it has certainly helped me to cope with my day to day lifestyple with more ease. In short my trip to Cardiff is a 500 mile round trip, but I feel the benefit I gain from my visit's (almost on a monthly basis) is well worth the time and expense. Philip has also given me valuable advise on diet that aid's my digestion and in so doing complements the physical therapy received. I would not hesiatate to recommend him to anyone in need of complementary therapy. I've visited City Marshall many times and Phil is the first person I turn to when I need my aches and pains sorted. I work both at a computer all day, and also carrying heavy boxes at times during the year and as such, my back especially can end up in bits. Phil takes the time to find out your issues before laying hands on you - and when he does - that's when his remarkable experience shines through. He's able to pinpoint exact 'hotspots' and tells you exactly what needs sorting - you don't even have to say a word. I remember one particular visit where I had particularly sore shoulders. I can tell you now that the way Phil worked out the knots was pure heaven! If you're looking for an experienced, friendly and professional therapy in Cardiff, look no further. I cannot recommend him enough. I have always been interested in Reiki, so when I decided to give it a go, I researched the best practitioners and came across City Marshall. I was very impressed with the service and used it regular twice a week. I couldn't believe the transformation. Amazing Service. I’ve been having massages for years to help with tension and back problems and I have to say that Phillip is the best masseur I have ever come across. He listens to your problems and tailors the solution to your needs. He also provides useful information, and is highly knowledgeable when it comes to health problems. I would recommend Phillip to anyone who wants to relive the stresses of everyday life. The Hay Fever blend with the special blue chamomile and myrtle have workerd wonders. I have stopped taking the antihistamines as well as the aggresive Corticosteroids (steroids) and feel SO MUCH better now. I only wish I knew about this sooner. Thank you so much. Excellent. Suffering from numbness in feet due to diabetes, over several sessions of reflexology, really did help improve circulation in my feet. Back & shoulder massage I would also recommend - really helps to relieve the stresses of work. Thanks Philip. After only 2 sessions I was seeing an improvement and relief of the tightness and aches and pains in my neck/back. Phillip is very helpful and knowledgeable, spends time getting to know your problem and is always happy to suggest other options and alternatives that may be of benefit. On top of that he is also very skilled and I can highly recommend him. Although at first highly dubious of complementary therapy, I'd had enough of my symptoms and so researched options. Having read Philip's reviews, I thought I might as well give it a whirl - what's the worst that can happen - £70 down the drain or you might just be sorted. After 4 months of treatment I am happy to report that Philip does what it says on the tin, and that no money entered Cardiff's sewer system. Philip is everything you'd expect - friendly, interesting, knowledgeable and accommodating - but crucially he will analyse your problem and fix it. I have been having tui na (cupping) treatment over 2 years for some old chronic/ stress related injuries that I accumulated. However, when I moved to Cardiff, I did not know where I could continue my treatment. A friend suggested to visit City Marshall. I am very glad I did because after a single session I could see massive improvement on my shoulder pain. Moreover, Philip (the masseur) explained what was causing my injuries and what I could do at home to avoid the pain getting worse. I fully recommend his treatments and although they can seem pricey, he offers student discount and it is worth every penny. I have not had a bad night's sleep since I saw you, three weeks ago. For the last couple of years I've been dealing with lots of tension and pain on my back. Tired of seeing many different GP's and taking painkillers I called Philip. Later that week I received my first massage, especially designed to relieve tension and also relax me thanks to a unique blend of aromatherapy oils that Phillip created for me. My pain has improved a lot and I also feel lighter and able to carry on with my day without issues. I cannot recommend Philip enough, his professionalism, knowledge, flexibility and willingness to help is definitely above and beyond the highest standards. With Philip you can definitely be sure that your problems will be listened and a tailored solution will be created. The therapist spoke through everything and made me feel very relaxed. I would definitely go again and would recommend to anyone. For ten years I was not able to reach my ankles, bend my knees without pain or clip my toe nails. I thought I never would. The NHS said its age! After 3 sport massage sessions I am pain-free, very loose and I can clip my toe nails with ease. I feel amazing and I know that in 2 or 3 more sessions I will feel even better. Thank you so much. Professional, warm, knowledgable and really helpful. Philip certainly knows his stuff and helped me with constant problems with my digestion and low immune system. Very generous with his time, advice, offers and flexible in appointments. I've moved away now and already missing the sessions. Definitely recommend a visit. Not cheap but worth the money. Currently being treated for a lower calf injury, possible running injury, and after 3 sessions can feel a real positive difference in the area. Phillip is very informative, friendly and knowledgeable and has highlighted and treated other areas of concern that have aided my recovery. Highly recommended. After intensive radio and chemotherapy for throat cancer my body was in a mess with various aches, pains, stresses and restricted movement. I was having complementary therapy via the NHS - reki and refelxology - but unfortunately this wasn't hitting the spot. After much research I chose City Marshall from the reviews online and boy I'm glad I did. After 4 sessions now I feel so much freer in movement, its easier to relax and much of the tension has gone. In my last session Phillip managed to combine hot stones, aromatherapy, deep tissue massage, hopi candles and shiatsu and I can honestly say I never felt so relaxed and had the best sleep I can remember. I'll be returning on a regular basis and cannot recommend Phillip's intuition, professionalism and services high enough. Reike massage. I had a Reike massage before in London, to do something about my sciatica. It has worked, don't ask me how. I was in cardiff at the time and had spare time before catching my train to London. My sciatica has flared up on me recently and I needed it to be in a good shape. With the assistance of my phone, I found Marshall Massage. I had an appointment the same day which was very helpful. The session was physically and spiritually healing and I desperately needed it. Massage. Lovely massage in a nice room, very conveniently located in the city centre. Phillip was very experienced and professional. I would recommend it. A very gentle atmosphere to experience. A very calming and stress free environment I found upon my visit. Philip especially is a very polite and informative individual who was most helpful. 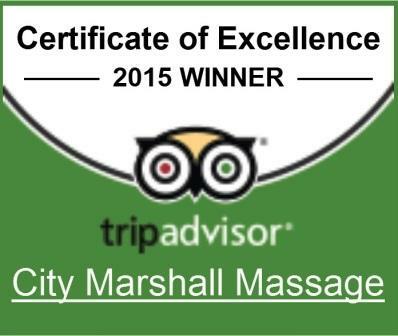 I would recommend City Marshall to anyone who is seeking a relaxing experience. Beyond expectations. After seeing a variety of positive reviews I decided to book a consultation - I had been enduring poor sleep, suffering stress from bereavement and very low energy levels. I'm not sure what my expectations were, but was so pleased to see an improvement after the initial visit. Phillip certainly seems to take an interest in your personal situation and finds a balance in listening to your needs but also guiding you with his obvious expertise. I look forward to each visit as I know it'll not only be a wonderful hour of relaxation but the benefits will last much longer than any massage I've had before. Have already recommended him to a number of friends and family. Very relaxing. I went to Phillip originally with a back injury which had plagued me for years. Phillip was able to sort this out for me in just a couple sessions. I also had treatments to support me through my IVF cycle (acupressure and reflexology) which were extremely relaxing and helped me cope with the stress and anxiety. Phillip is very knowledgeable and I would recommend him to anyone. Relaxing! I went in to City Marshall after finding it online and after reading its good reviews and it really was a great experience. It relaxed me before my pretty stressful weekend of meeting my boyfriend's entire family. I strongly recommend Phillip. He was very professional and kind. Made me feel very comfortable. No awkwardness which was what I was afraid of. He talked me through the different [aromatherapy] scents. He also gave me information on what I need to do next, to benefit fully and keep my skin healthy. He really knows what he is talking about. Next time I'm in Cardiff I will definitely go back. Philip is very welcoming and extremely professional. It is obvious that he places great emphasis on customer care and that he treats all new and old clients equally. His recommendations, stretches and nutritional advice are an extra bonus that we did not expect. Go there for the best deep tissue sports massage as well as his wonderful insight. Very highly recommended. I attended City Marshall for a course of Chakra healing and Shiatsu massage. The whole experience was wonderful. This has to be the best therapeutic practice in the whole of Wales. Philip is the consummate professional and he certainly has some extraordinary gifts. I can wholeheartedly recommend this practice. Many thanks Philip. Fantastic - really helped my Sciatica fast! City Marshall is great. I was struggling with sciatica but after only the first treatment there was tremendous improvement. Phillip is very knowledgeable - he tailor made my treatments and gets great results. I thoroughly recommend him. One of the most relaxing hours in a longtime. Never done anything like this before, but would again now. Very helpful. City Marshall is the best masseuse in the city of Cardiff. He offers professional service with great expertise and confidence. He treats clients with much deserved respect and makes everyone feel welcome and comfortable. Feel free to make contact and have your massages done by a truly professional and qualified masseuse. Superb and attentive massage / reflexology. What can I say that isn't superlative. Phillip knows his stuff and knows how to explain what he's about and why. I had taken a serious fall with incredibly painful ribs and related muscles. The massage and oils worked a treat in returning mobility and reducing the bruising. His reflexology also identified a posture problem (without any promoting I must add) that I have had on/off for years. Looking forward to returning to Phillip to work on this too. Excellent massage treatment. 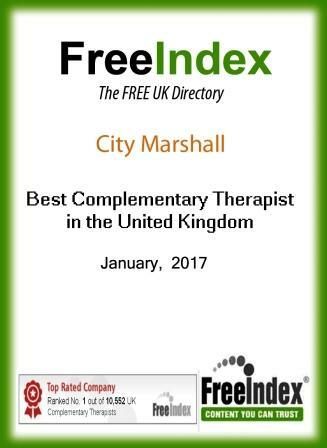 One thing that really makes City Marshall Massage stand head and shoulders above most other therapists I have seen on my travels, is his adaptability and willingness to tailor make a treatment to your own personal needs. You might be surprised to hear, but I had a 60 minute deep tissue sports massage followed by 30 minutes of ... Reiki ... and the combination was amazing. The muscle tension was all gone and I felt a huge release of blocked energy. I never thought that a massage can be equally energising and relaxing - but it can. Really fantastic therapist! Fabulous massage that's tailored to your specific needs. I went to see Phillip to help me relax due to my insomnia. He really listened and spent time chatting with me. I had a shiatsu massage first then the next week an aromatherapy massage. Both were amazing and after the aromatherapy one I slept most of the night without any sleeping tablets. Something I have not done for a long time. Thanks Phillip, I can't wait to come back. Outstanding sports massage. I'm a fitness instructor and thought that I'd just have to 'live with' my constant aches, pains, strains and pulled muscles. After one visit to City Marshall for a sports massage, my back was SO much better. Since then I return as often as I can. Phillip uses a pressure pointing technique that relieved my knots and tension, my movement was instantly better and I could stand up straight! The essential oils are tailored to your personal requirements and smell divine. Phillip really knows his stuff, he describes what he's doing and how he is trying to relieve pain and strains. He also gives outstanding advice on posture and how to avoid injury and pain in the future. Would recommend to anyone who suffers with back, neck or shoulder problems, anyone who is involved in fitness to relieve muscle strain... also anyone who just wants a nice relaxing massage after a long week! try it once and you won't want to go anywhere else. Great massage in relaxing environment. I went to Philip with achilles tendon problem, but have since had had a series of sessions working on chronic muscle tension. Very effective. I have great pleasure in recommending Philip at City Marshall. He made me most welcome and listened to me whilst I explained my problem. I had been in real pain with a sciatic nerve problem in my right leg and after 3 treatments I am feeling the benefit his wonderful care My real aim is to do a lot of walking in the USA in 3 weeks time and I now believe that this will be possible. Thank you Philip. Best Reflexology in Wales. Reflexology away from home can always be hit and miss. But Marshall was certainly a Hit – with us both. His many years of expertise shine through and although his main specialty is Shiatsu acupressure, he combines those skills to achieve a great overall highly effective reflexology. As many people have already indicated, despite being from out of town, you get treated to a very generous amount of extra consultation time beyond the allocated 1 hour treatment. Not only very effective, but also highly interesting observations – both medical and nutritional. I don’t visit Cardiff often, but when I do, I shall certainly return for another reflexology treatment! Great Sports massage. I made an appointment with Philip for a sports therapy massage and went in without any expectations. He sounded very knowledgeable and asked me what type of oil blend I prefer, and when I said I was going back to my hotel after the massage, he recommended a [tailor made] blend of relaxing essential oils which smelled quite good. Philip is very knowledgeable on the human anatomy and muscle structure so he explained what he was doing while provided the massage. He also recommended that I corrected my posture in order to have long term effects on my body. City Marshall is the place to go in Cardiff for an effective massage. For sports massage in cardiff look no further. Great massage and great massage experience. Best sports massage in Cardiff. Worth every penny. Thanks! Had a sports massage from their main physiotherapist, Philip, when I visited Cardiff. Philip has wide expertise in physio as well as deep tissue trigger point therapy work. He specializes in sciatic pain relief and I can certainly recommend his skills, as even after the first massage treatment, I already felt a wonderful improvement. I went back for two extra sessions on my way back through Wales. I have been pain-free for two months. A very enjoyable holiday and a great local discovery. You should really visit him if you have pain concerns! I had the best time. Felt really relax and calm. Philip the owner was so kind to me and help me deal with my bad knee. I felt so much better and also came back the next week for another massage. U should go check it out! The best massage and the best decision I have ever done, using City Marshall Massage. Has changed my life around after 5 massage treatments. It is fantastic being pain-free for the first time in years! £250 for this type of service is nothing. Very highly recommend that you also use the hot stones massage upgrade, at least a couple of times. Thank you so much! Philip provides an excellent service. He has a great deal of knowledge about the body and identified issues with my feet relating to an injury more than 20 years ago, which I had long forgotten. Phillp's massage really helps deal with the tension that develops at various points in my body. He combines different techniques in the treatment and his inituitive approach seems to help him provide what treatment I need. I have seen him several times over the last few months and continue to do so every few weeks. I had a Reiki healing session. The individual treating me has good energy and is very warm to the touch. He identified my energy blockages and I am looking forward to clearing them with succesive treatments. Peace. I originally went for a sports massage and have since also had shiatsu massage both of which I found very beneficial in their own ways. And that is one of the benefits with Philip as he has experience in many treatments and can advise accordingly. The massage was great for releasing muscular tension and the shiatsu left me feeling very grounded, relaxed and very balanced. I would definitely recommend for either pampering or muscular tension. Whether you are suffering from pain, want to keep everything in check or simply want to fully relax, I can highly recommend City Marshall. I first attended when suffering from pains in my leg when running. Philip cured me via sports massage but also used aqupressure when needed. One of the huge benefits of visiting Philip is that he can switch techniques when needed as he is qualified in many therapies. Since then I have also visited several times for reflexology which was extremely relaxing and helps keep my body in balance. Thanks! I had the deep tissue sports massage at the city centre Cardiff location. The treatment room was very impressive and the sports massage itself was excellent. I would be more than happy to recommend Marshall to all my friends and family. My Reiki healing session was wonderfully calming. I was given the opportunity to choose a handful of crystals that seems to give me an even greater sense of inner peace. The whole building has a tranquil healing effect, the reiki treatment room is beautifully relaxing and the healing powers of Philip are very powerful. Certainly recommend a visit! I would definitely recommend the Hot Stones Aromatherapy massage. I'm a person who 'doesn't know how to relax', but this truly is an amazing experience, as I feel completely rejuvenated and relaxed. Also, Philip is exceptionally good at pin pointing certain areas of concern and is so accurate... Very professional at all times throughout the treatment .. He comes very highly recommended. As a regular client I must say that the service offered is exceptional. I will definitely Recommend City Marshall to anyone who needs a massage whether its for relaxation or medical purposes. It is definitely value for your money and its guaranteed that you will be back for further sessions. I was suffering with stress during the first trimester of my pregnancy, and was given a session with City Marshall as a gift from my husband. I didn't know what to expect, but was calmed by the consultation. After discussiong my symptoms, Philip was able to combine treatments to suit my needs. He was gentle, and assured me that he would not go near my abdominal area. I had a mixture of Reiki, Shiatsu and Reflexology, and can honestly say that it was such a relaxing and calming hour. The feeling stayed with me all day, and I can't wait to return to City Marshall. Philip has given me Hot stones massage on many occasions as well as Shiatsu and Acupressure. He is very skilled in all these fields and takes pride in the quality of each session. He asks pertinent questions before each massage and adapts the techniques to cause the maximum effective treatment. After my visit to city marshall I instantly felt relief on my back and neck.. The essential oils were fab and the massage second to none! I was also offered valuable information about my condition, posture and further treatment. I'm a fitness intructor and intend to come regularly! Would definitely recommend! I have had four aromatherapy massages with Phillip for muscular tension and anxiety. He is a lovely, understanding person, that takes time to understand what you need. My muscular tension is definitely improving and I would recommend Phillip to anyone with muscular tension, sports injuries or just a general massage. I also received useful advise on nutrition and well being. City Marshall is run by Phil who has wide expertise in all kinds of massage and different reasons for aches and pains! I regularly visit every few weeks as the treatments leave me feeling 100 times better and help to tackle my sporting complaints as well as the stresses of every day life. I often contact Phil at short notice due to work and he always does his best to fit me in around what suits my circumstances. I really feel his sessions are great value for money and great to keep up your wellbeing or perfect as a present for a friend. Would highy recommend to others. I think that my client really benefited from the service that Philip Marshall provided. Very professional and positive outlook with regard to the wellbeing of my client. I would certainly recommend other people to use Philip Marshall's expertise and therapies. Extraordinary knowledge + have you seen the new premises? I have attended appointments with City Marshall on previous occasions. I usually leave it too long, arriving in considerable pain in my shoulders, neck and back. My work in the NHS is stressful and I'm generally far from relaxed. After a consultation combining Shiatsu massage with other types of treatment, I feel massively better. Only recently I've had 2 consultations and I am able to move and work much more freely. Added to the first class treatment is the new environment. The City Marshall's treatment area is relaxing, very spacey and conducive to forgetting about the world for an hour. The NHS discount is generous and the therapist is also generous with his time. DO YOURSELF A KINDNESS and book a session. I highly recommend Philip Marshall for any muscular treatment. Philip is a very friendly and knowledgeable therapist. I had shiatsu and back massage sessions which released muscular tension and promoted a more relaxed mind and body. I recommend anyone with ongoing aches and pains to have a consultation with Philip to see how he can help you best, he can tailor the session to incorporate different therapies as part of one session to give you the optimum treatment. The Tuina massage treatments with you during my short break in Cardiff were more powerful and more positive than I ever imagined possible - Thank you! Had the specialised back pain massage at city marshall in central Cardiff. The combination of sports trigger point therapy and Philip's deep insight into acupressure was very effective. The muscle tension, even after the first massage, was much reduced. After the third massage treatment we added more elements of yoga stretches and worked on my ROM mobility. Extremely professional and also deeply reassuring. Philip certainly cares and adds aromatherapy blends as well as some elements of reflexology to the over all effect. My back pain is now much reduced and I am much calmer at work. Highly recommend this blend of therapy to anyone with lower back pain or lumbago. I have been a client for the past 5 months and I can truly say that there's never a time when i have been disappointed. Phillip is very well experienced in his line of work and makes you feel a whole lot better by the time he is finished. I would definitely recommend him to anyone who is looking to either just pamper themselves or who has a medical condition. My experience with City Marshall was phenomenal. When I first started out I had upper and mid-section back pain. After only a few sessions I started seeing positive changes. In addition to the Shiatsu massage I went for, there was a good mix of Thai and yoga stretches during each session which made a world of difference. Overall I had a great experience here and will continue with them! It was an excellent massage that successfully reduced my muscular tension and left me feeling very relaxed and calm. I was very impressed! A long over due thank you to Philip. My husband and I had a combination of Shiatsu and reflexology to support our (5th) IVF treatment. We have tried for almost 8 years and almost gave up. Philip was extremely understanding and informative. He guided us both throughout our year together and gave us a wonderful insight into healthy eating, better sleep hygiene, exercising and of course - his amazing treatments. He is an exceptional therapist and we can not praise him highly enough. And I didnt realise just after the treatment that I was no longer in pain.... This wonderful reprieve lasted approximately 3 weeks. I am so impressed that I have recommended him to family/ friends / work colleagues, and have asked family to not buy presents for Christmas for me, but to able me to attend this exceptional method of pain relief without popping pills. I had an acupressure massage which was very relaxing in very pleasant surroundings. It really did the trick. Philip is an exceptional Shiatsu and Sports Massage Therapist. I visited him for lower back pain and sore muscles. He pin-pointed the problem and has eased the pain. I will continue to visit him regularly and I have already recommended him to family and friends. He provided a friendly and professional atmosphere and gave additional tips such as exercises and other treatments to ease the pain and tension. He's great at his job and he knows his stuff which is excellent. Lovely Shiatsu facial massage! Very relaxing hopi ear treatment. They know how to treat each individul person according to their personal needs and wants. Would deffinitely reccomend and go again! Although I live in Cardiff, I have been going to Bristol for my shiatsu sessions, as I could not find one in Cardiff. Now that I have found Philip, I realize that I have the best shiatsu practitioner right at my door step. He has such a wealth of expertise and in depth knowledge of sports physiotherapy. Really very much appreciate his advice and feedback on many and varied matters. Highly recommend Philip to all my friends. Many people have written about Marshall's professionalism and skills. I wanted to highlight his consultation process. I came in for a 30 minute casual massage that was promoted on a special offer, and expected nothing special. I listened to Marshall's recommendation of arriving 10 minutes early to fill out (the 2 page) consultation form. After which we sat down for over 20 minutes and analysed my condition and how to address it, with Shiatsu trigger point pressure and essential oils being recommended. All the oils used were explained to me and the reason for using them. After my full 30 minute treatment Marshall still took the time and patience to explain and demonstrate 3 sets of stretches that have since been very effective in easing my particular muscle discomfort. I did not expect him to spend almost an hour with me, and I am very impressed with his skills. I have since returned twice and am feeling much better. It is so amazing when you find a true professional that cares. Thank you. Had a sports massage and deep tissue trigger points. Very much in need after the Cardiff 10K run. Philip was extremely knowledgeable, friendly and explained all he was doing in very plain English. I was very grateful for this, as often other physios take it for granted that you understand your body's anatomy. After seeing many physios and chiropractors in Cardiff, Marshall stands out as the best in my opinion. My partner also has a sports massage and was equally impressed. We have both been to see him again since. Attended City Marshall after purchasing a deal voucher. I was expecting just a normal massage / treatment, however, during the treatment I was advised of issues that I didn't even realise I was suffering, in my case it was shin splints. Due to the advice, I have managed to resolve pain during exercise thanks to the advice of City Marshall. City Marshall is more than just a massage centre. Philip provided friendly and expert care. He found and treated problems specific to my needs and offered some great advice. I will definitely visit Philip again and recommend him, as this was the best and most beneficial massage I have had in Cardiff. I highly recommend philip marshall for any muscular treatment. I am a musician and suffer from a lot of lower back pain I found him very experienced and he gave me alot of tips on how to tackle aches and pains. I shall be seeing him again. I visited Philip for massage and told him about shoulder problems that I've had for years. He is experienced and knowledgable and was able to tell me more about the problem and offered advice for improving it. I will continue to see him for hot stones therapy. Shiatsu and Reflexology. It is obvious that Marshall has taken a lot of time and expense in mastering his many massage skills. This is not a pamper massage, despite the sauna and spa upstairs. Go there and be prepared to learn and be open minded. The Shiatsu is certainly highly therapeutic and if you are relaxed enough to have a massage without oil - this is surely what you should look into. Marshall's Reflexology technique is very clinical - not quite the foot massage that one expects - but extremely beneficial. I am hooked and have recommended it to all my mates at work. Ask him about his hay fever potion - lovely smell and did the trick for me in three days. I went to Philip after having arm/shoulder problems. I had three 1 hour sessions with Philip. He is very professional, courteous, and makes you feel at ease. His knowledge of muscular anatomy really helped locate the problem in the first session, and with the hot stones, followed by massage with shiatsu accupressure/trigger point, he was able to kickstart the healing process. He also showed me some stretches to do to help as well. I definately felt improved 24- 48 hrs later, and now after 3 sessions feel about 80% recovered, and will continue the stretches until I'm completely back to normal. Highly recommended! Bags of knowledge, very personable and professional. Enjoyed the tailored massage! Thanks. KitKat Cardiff reviewed City Marshall on 23 July 2012 - YELP! Excellent been lucky enough to win a free treatment with phil twice in a raffle now both times service was excellent. Brill treatment from Philip just what I needed. First professional massage I received and I will definitely come back. He used an amazing blend of aromas and relieved all problem areas leaving me stimulated but relaxed too. Another thank you for sorting my back out- I feel like a new man! I can’t say enough about Philip Marshall. The service he provided is the absolute best. Always prompt via SMS and email, always professional, he takes care of my health. I experienced the shiatsu acupressure dry massage it was an excellent unrushed service catered 2 your own personal needs Phil offered loads of good advice and is a Master of his craft Don’t bother going anywhere else! I have received Reflexology therapy by Philip. He uses a kind of 'slide' technique mostly to cover the reflexology points on the feet (rather than a 'caterpillar' technique) which some people may say could result in every point not being properly addressed. Good massage technique used in between reflexology point work although could increase repetoire. Friendly, professional and helpful in manner. Charts not used or shown to client in session to show where imbalances may be but when asked, verbal feedback on where points 'showed up'. I had a very sore neck and Philip fixed me. He took time to consult me in the beginning and than even did over an hour for the same price. He also gave some additional advice on low blood pressure which I found very helpful. In the end of the session I purchased a aloe vera gel with certain oils who already help me with my hay fever. I am very happy with the professional and knowledgable treatment. I recently had Shiatsu massage and Thai Foot massage at City Marshall. The treatment was very relaxing. Philip Marshall certainly knows his stuff! I paid for a hour and a half treatment, and unlike some therapists who shave minutes off, Philip gave me a full hour and a half treatment, offering advice on related topics. The treatment room is very comfortable and Philip is extremely professional. My aches and pains have eased and I have booked another treatment. I would recommmend Philip to anyone. I have seen many therapists over the years and Philip is certainly one of the best. excellent sports massage that was started with a black hot stone treatment. Best sports massage in Cardiff. Super client care, very welcoming and highly professional. The massage was excellent, with the perfect pressure and attention to my needs and requests. He constantly asked as to my well being and explained what he was doing. A wonderfully educational experience and fantastic massage quality. I went to visit Philip Marshall for a massage when the £20 for 30 minutes offer was running. As it was an offer, I thought the massage might be a little rushed and generic. However, on arrival I had to fill in a form about what I wanted from the session, and when I went into Philip's room we spent over 5 minutes discussing the type of massage I wanted and choosing an aromatherapy oil mix to best suit my needs. A relaxing massage then followed which really did the trick; I was relaxed for the whole day, and slept very well that night! Even though I was a customer through a money-saving offer, I wasn't treated any differently and still had a wonderful massage. I would recommend Philip to everyone! After years of worsening back tension, a few visits to City Marshall have worked wonders. The stress in my neck, back and shoulders was extreme. Spa therapists had said I was one of the worst cases they had seen! Not only is Philip releasing the tension in my back and shoulder muscles, he also applies an holistic approach to treatment, drawing on his expertise across multiple disciplines. Philip has advised on back support at work; alleviated fluid retention; blended a warming massage oil and suggested targeted exercises to help. His treatments are therapeutic indeed. Philip is calm and considerate and ensures a comfortable environment. I would have no hesitation recommending him to others, I can not praise him highly enough. I had issues with my neck for a while, been trying so many things none worked. I found Phillip on the internet and decided to give it a try. Twas good I did, cos he did a good job... Neck pain is gone, sleeping nicely now! Good job Philip. I first encountered City Marshall and Philip for the first time through a special offer and I booked for reflexology treatment. I thoroughly enjoyed the treatment and found Philip extremely professional and caring. Philip delved into my past health history to ascertain any ailments and to make sure that he gave me the correct treatment and he also concoted me an aromatherapy "sleep potion" which I found extremely beneficial in aiding my sleep pattern. I would certainly (and have) recommended Philip and his services to all my friends and I shall be returning in the future for further treatment (time prevailing). The facilities were extremely clean, tiday and very very relaxing. I could have fallen asleep on the premises. Bravo to Philip. I had the sports massage and thoroughly enjoyed it! Philip is very knowledgeable about what he does. He also showed me some stretches to do, to ease the tension and some advice on how to decrease any water retention. I was very lucky to find city Marshall on google - booked an appointment via email and Philip was very quick to reply. Gave me several appointment slots via text - this was the most unusual yet accessible - being a deaf person myself - it quite difficult to make a simple phone call - this is where many businesses are losing on 1 in 6 Deaf and Hard of Hearing customers (over 10 million in UK). With Philip nothing was too much trouble and making an appointment via text was a bonus for me! Being close to Queen street, so easy for me to get to for an appointment any time of day especially Sundays. With his depth of knowledge I was able to get a Tailor-made treatment - what more could you ask for that to feel like a woman at the end of the day. Look forward to have my hair done there once its ready. The Reiki treatment was very professional. I felt warmth all over the body and feeling a lot of frozen stress disappear. I felt relaxed and a feel good factor. Seen light and colours. I will recommend this Reiki and Shiatsu to all my friends. Very enjoyable- very relaxing. Gave insightful advice which I will certainly follow, with regard to ways of improving lifestyle and diet. Can't wait to return! Tui Na Chinese massage. I found City Marshall's combined Shiatsu with TuiNa massage to a wonderful effect. This produced the great calm and peace of mind, without the essential oils and herbs that most Chinese herbalists insist on. The Five Elements reading was explained in a very straightforward and understandable manner. The 90 minute massage really flew by. A wonderful experience which I highly recommend. Denise Cardiff reviewed City Marshall on 10 February 2012 - on Yelp! This was my first experience of an aromatherapy massage and it was throughly enjoyable. I was able to choose the oils that would help to achieve my aims for the massage and the expertise and knowledge of the therapist was excellent and further helped me understand the uses of the oils i was choosing. The therapist was very knowledgable and was able to inform me of problems i was having with my body and how best to improve these. The massage was very relaxing and i really enjoyed it, it was worth the money and i would definately return!!! At first I thought sticking candles in my ear sounded a bit odd. But after the ear candling treatment I felt relaxed and very satisfied with the overall outcome. Definately recommended! As for the massage. Tip top as usual! Not one bad thing. City Marshall is the place to go if you want a massage! Leaves you feeling super relaxed. I had a full body aromatherapy massage today, which left me feeling very relaxed. I was able to choose what the aim of my treatment was and what oils I wanted to be used. The therapist was very friendly and explained any problems he found e.g. water build up in my ankles. The massage was 45 mins long and was definitely worth the money. I would definitely go back there again!! The Aromatherapy massage with Hot Stones also integrated Reflexology pressure points. I found it fascinating and wonderfully relaxing. Marshall's massage technique is superb and his many reviews and certificates are certainly testimony for his abilities and therapeutic skills. My partner was equally impressed with his own Reflexology and shiatsu treatments. The best massage I have ever had in Cardiff. Thank you. Sam L Cardiff, reviewed City Marshall on 25 January 2012 - on Yelp! Swedish massage with aromatherapy hot stones. The best one I ever had in Cardiff. Really enjoyed this treatment. Perfectly tailor made essential oil blend, from a selction of almost 100 essential oils. The massage itself was very relaxing, as he took the time and care to attentively listen to me and my requirements. A wonderfully therapeutic massage with the nice pampering touches one sometimes takes for granted. Thank you so much - I shall return for more. . Hot stones and aromatherapy massage. Really brilliant. Felt amazingly relaxed and healthy. Loads of benefits from the great nutrition advice and was shown a beneficial exercise routines. Marshall is MUCH more than just a massage therapist. Go there and enjoy! Phillip provided my first ever full body message using aromatic oils. I found it extremely relaxing & invigorating. Phillip was extremely professional throughout & carried out his duties with a refreshing enthusiasm & passion for his trade. My daughter booked a massage with Philip for my birthday and he was brilliant! It was very soothing and the oils that he mixed up just for me smelled beautiful. The staff were lovely and the atmosphere very relaxing, despite being in the middle of Cardiff! Philip was very caring and gentle, yet really worked on some of my trouble spots and I felt the benefit of that for a good week after. I'd book to go again - and I'll return the favour to my daughter and book her in for her Christmas present!! Thank you Philip! Massage and sports massage. Philip first treated me with a straightforward Sports Therapy, but suggested using Hot Stones (black volcanic basalt stones) for the second visit. He was certainly right. The stones really eased my muscular tension and allowed very deep and profound trigger pointing without too much discomfort. In fact, the end feeling was of wonderful relaxation - a sensation that I have long forgotten after months of discomfort. I've seen Marshall monthly throughout this year. Highly recommend him! My wife and I have received several Shiatsu treatments as well as foot reflexology from Philip. His service is excellent, his expertise and genuine care is second to none. Really appreciate his after care advice. Had a massage with Phil who is based at Vitality Cardiff. Very relaxing and lots of extra info that was helpfful. This guy has worked aorund the world and trained with the experts (Thai, Chinese masters) but he is a very humble person who has not been discovered yet in Cardiff . TRY THE HOT STONES MASSAGE. I have had several massages with Phil. Super guy. Really genuine nice guy. Massages are amazing. Leave you feeling super relaxed and feeling great. Worth every penny. Highly recommend anyone and everyone to go see City Marshall. Can't wait for my next one! Had a Thai massage with herbal bag compress last month. Philip is an excellent therapist and his reputation as well as hundreds of testimonials on his own web site are all very much deserved. Will not hesitate to recommend him and am looking forward to my next session with him next week. I am suffering from Bronchitis for a while now. Bad cough and tear of the soft tissue of the muscle.Came twice for Shiatsu treatment which was very good, relaxing and professional! Helped me to get a good night's sleep and stress free! Highly recommended!!! I won an hour-long massage in a raffle and was delighted as Philip even tailored my session to my specific needs. After suffering from a chesty cough and blocked sinuses, Philip suggested Hopi ear candles which were very effective and surprisingly relaxing! What a lovely treatment, will definitely be going back!! Philip was very accommodating, friendly, and knowledgeable. He helped to release some pain and help with relaxation, while giving me some valuable advice for avoiding future issues. I would highly recommend him for locals or visitors, and will meet with him again should I return to Cardiff in the future. A really relaxing massage and tailored for exactly what I wanted, with a wide range of natural oils and products. I would definitely recommend! City marshall made my chronic shoulder pains ease dramatically. With several sessions the servre knotting had been reduced. I found the service brilliant and very relaxing. I had few therapeutic sessions with City Marshall due to muscular aches and pains. The service was exceptionally brilliant. The knowledge and skills applied were excellent. The ability to specifically apply the required therapy to suite individual needs to me was paramount and City Marshall has given justice in making sure that patient's/client's needs are met in the highest standard expected. Highly recommend this place. Since moving to Cardiff I have seen City Marshall on several occasions. I found the care that I have received highly exceptional. City Marshall is very experienced and knowledgeable. I had multiple ailments and most he was able to identify through therapeutic massage coupled with aromatherapy without my ever having to articulate every concern that I had. Above all, I most appreciate the level of professionalism and genuine care that I have received. I would not hesitate to recommend City Marshall for everything from specific ailments to general well being maintenance and I look forward to my future visits under his care. Philip's ability to combine his Physiotherapy skills and knowledge with his fantastic reflexology therapeutic abilities is outstanding. Really opened my eyes to a whole new life style and training regime. He addresses things like posture and seating position as well as, the benefits of specific diets. Can not praise highly enough. The best therapist in Cardiff £ and I have certainly seen a fair few of them. Had an amazing hot stones, Aromatherapy, sports massage with Philip on Thursday 10 Nov 2011. Been suffering with awful shoulder pain for 5 months and its completely gone in one session! Its been three days and I still feel amazing! Friendly and very professional. I recommend Philip to anyone!! Fantastic service, really friendly staff and wonderful facilities! Will definately return for a visit. Phillip is an exceptional and extremely talented therapist. His knowledge and experience is inspiring. When i went to see him at Vitality I had a Shiatsu treatment, something he specialises in. The treatment was amazing, and I felt the benefits for days afterwards. I would recommend Phillip to anyone. An honest, caring and outstanding therapist! If you have a treatment with him you will not be disappointed! I had a 1 hour swedish massage here last week and it was great. Phil had a very professional approach and I was amazed at how he identified my aches and pains without me having to say a word. He offered great lifestyle tips too, to improve my general health - again he identified my bad lifestyle habits without any word from me. The aromatherapy oils incorporated into the treatment (no extra cost) was a great bonus! Very, very relaxing. I visited Philip the day before the Cardiff half marathon for a full-body, pre-event sports massage. I had been for various massages and therapeutic treatments in the past, but had never been for a sports massage; so I was pleasantly surprised to find that Philip incorporated the use essential oils into his treatment. He made a fantastic blend of oils for me when he discovered that I suffer with IBS and erratic sleep patterns and he even made me a bottle of lotion to take home. He was extremely accommodating; being mindful of what kind of pressure I preferred and which areas I wanted to concentrate more on. He diagnosed the problems I had been having with my knee and IT band (without me informing him of this) and he offered practical advice and alternatives for my conditions. He made me feel comfortable and relaxed and I slept like a log that night. My body was far less stiff during the half marathon and my IBS was less erratic. I contacted Philip at short notice the day after the half marathon and he managed to fit me in for another sports massage. He immediately diagnosed shin splints and gave recommendations. Once again, the massage was amazing and I have slept brilliantly since. I will be returning to Philip for shiatsu and have recommended him to friends and family. He is extremely thorough, knowledgeable and accommodating. He creates a relaxed atmosphere and is keen to work with you to create a valuable and worthwhile experience. Many thanks!!! Through his knowledge, expert advice and warm, friendly manner Phillip @CityMarshall consistently proves himself to be a true professional. I happily recommend his services to all my clients and friends. After having bad experiences with massage therapy elsewhere, I was a bit skeptical and apprehensive going in. THIS WAS THE BEST MASSAGE I HAVE EVER HAD. Not only was it totally relaxing, it helped my breathing and the aromatherapy oils gave me a good's night sleep, something which I hadn't had for a while. Philip was very knowledgeable and customizes everything to suit your individual needs. Great deal getting access to all the other facilities (spa included) with a City Marshall treatment. From start to finish Philip is a professional and extremely good at what he does. I have had a few sessions with him (hopi ear candles and shiatsu) and will continue to do so. I could not recommend a better person to go see if you want to try either of these. He genuinely knows his stuff. Before this appointment I had never actually had a massage and if honest did not expect it to be my sort of thing. However, I was very surprised that I thought it was brilliant!!! Very knowledgeable giving explanations to the techniques and giving advice on how you could "correct" yourself on things like posture and sitting position. I would highly recommend this to anyone, especially if you are serious about training. It gave me an insight as to where my programme was lacking and putting my body under unnecessary stress. A friend and I had 60 minute massages from Philip- he was absolutely fantastic. His knowledge of the oils was very impressive, we were made to feel very comfortable and the massage was rejuvenating.Philip was also able to give some feedback and advice appropriate to various ailments which was extremely helpful. I would definitely recommend his services and intend to return myself. Thank-you! An absolutely amazing experience. Philip was charming, helpful, he managed to tell me more about my body in 45 mins that a lifetime of GP's..Thank you. I had a lovely reflexology treatment with Philip this week. His hands were really warm and the treatment was comforting and reassuring. I would be happy to have another treatment with Philip. Extremely friendly service, had an oil massage which I was allowed to choose from a selection of oils I preferred as well as being given information on the oils and their effects. Making it not only a relaxing visit, but educational as well. Somewhere I would deffinetly recommend to others. Amazing staff made you feel really welcome, friendly kind and attentive. Great facilities and very convenient for work. I'm a professional dancer on tour here in Cardiff. I had been suffering with a trapped nerve for 2 months and had treatment by 2 physio's in London. Didn't help me at all. However after one hour treatment with Philip it's completely gone... Really wonderful. My various experiences of complementary therapies at City Marshall, included hot stones, Reiki and therapeutic massage, have all been the best ever. On each visit I experienced deep relaxation. After one treatment I can recall feeling completely chilled out until the following day which was quite remarkable. I went home feeling as if I’d just returned from two weeks in the sun! I very much liked the way the sessions began by being asked to choose particular essential oil fragrances I was drawn to, which were then used in the treatment permeated the room. I felt I was in the safe extremely experienced hands of a skilful complementary therapist who has invested time and energy studying therapeutic skills from various masters around the world as can be seen from the many certificates adorning the treatment room walls. I love the bottle of hand and body lotion mixed for me, based on my essential oil choices; whenever I wear it people comment on it, even my hairdresser as it’s so subtle and lovely. I have told everyone I know about City Marshall - even some people I didn’t know as the treatments are too good not to know about. Life is so jam packed with stuff these days that there’s often little or no ‘me time’ available. For those who either want or need QUALITY ‘me time’ book an appointment with City Marshall; treat yourself, you won’t be disappointed. I can honestly say, after visiting numerous health spas over the years, City Marshall tops the lot! I won’t be going anywhere else from now on. My massage with Phillip was very relaxing. With his help I chose a combination of aromatic oils that suited my personality. During the massage, Phillip was able to tell me about imbalances in my body, which I realize (as a Life Coach) relate to my emotional well-being. Phillip was very informative and gave some excellent advice to improve my health. Altogether a very pleasurable experience. I had never had a massage before, so this was the first time. And wow. It was amazing, makes you feel great, very very good City Marshall is. I won't be going anywhere else for a massage, that's for sure. Take my word for it, worth every penny. Amazing! I went in feeling weary and ragged - Philip's reflexology treatment revitalised me. I highly recommend Philip as a massage therapist. He was able to identify and adress a number of problem areas. My sinuses dryed up for the first time in two weeks by the time he was finished working on one foot! Philip is very knowledgeable and has the ability to tailor treatments to the receiver. I plan on being a regular client. Philip is an outstanding therapist who employs a range of methods along with massage to heal and treat aches and pains. I went to him with a pain in my upper back that I had had constantly for two months. Using hot stones, massage and reflexology he has managed to remove my pain in two to three treatments. I recommend him to you very highly. Always feel comfortable and relaxed during the massage and afterwards I feel that my back problems have lessened by a huge amount, plus I smell nice all day from the tailor made concoction of oils that are used! The massage session was very much tailored to every preference: great that the aromatherapy mix was made with you choosing which fragrances & properties of oils that you wanted. Philip is a very insightful professional who even managed to pick up on a knee injury which I'd had a year ago. Left the health club very chilled out, really recommend the treatment. I had a 2-hr hot stone massage with Philip and it was fantastic. He was able to work out some really bad knots in my back and neck and relieved my neck pain. Philip was very professional - he explained the muscles that were causing me issue and also explained some of his reflexology techniques. My neck tension was so bad that [...] I went back the following day for another one-hour massage, which did wonders for my neck. Definitely worth the money - highly recommended! Had a stunning sports treatment - both totally relaxing and wonderfully uplifting. The After Care advice was superb, plenty of tips and very useful stretching exercises. I also bought some very affordable Dead Sea products. Will certainly recommend you to everyone. This morning I received a divine hot stones treatment, Swedish massage, shiatsu facial and aloe vera body wrap. Probably the most relaxing 2 hours I've had in many a year! Thanks Philip, I'll be back! Took the 2+FREE offer, where we got 2 treatments for just £80 and 3rd free. Amazing value and really fantastic day. It even included all the facilities and we had a free Pilates class as well. Treatments were very effective and really hit the spot. Both my mates were over the moon. Cheers Philip. Excellent service and value for money ! Will be back again soon ! Really nice place where to receive unbelievable and amaizing treatment. During the treatment I forgot everything. It helped to cope with my stress in uni. I received there many treatments but my most favorite is hot stones and crystals- it helped me so much, after that I was full of energy and I felt like a new person. It was really nice experience. Marshall always have good offers specail for me and it was so kind to receive text message in my birthday with wishes and good offer for my further treatment. Also I could take friend with me who got nice offer too. That is really amaizing. Definately my favorite place in Cardiff where to receive very qualitative treatment for good value. after each treatments I receive after care advices special for my conditions which is very good and I always can learn something new every time I go there. Thank you for that! It was my first visit to City Marshall and Philip, made me feel very relaxed and at ease before we started. He was able to provide a variety of oils to suit me, which were amazing. Philip is so knowledgeable and very passionate about aromatherapy and the oils. It is well worth a visit and we also enjoyed an hour in the sauna and seam room prior to treatment, which gets you ready. I found Philip to be highly professional during my 60 minute Reflexology treatment. I was totally relaxed and he pinpointed areas for me to keep an eye on in the future. I will definately return for furthur treatments. [It] was my first visit to City Marshal and Philip put me at my ease immediately. I was then [presented with] a selection of oils to choose for my Aromatherapy massage and advised which ones would suit my needs. Philip was very professional and I will certainly be returning for other treatments. I had been suffering from a blocked ear drum after an ear infection and felt dizzy when walking. I explained my symptoms to Philip at City Marshall and he recommended a Hopi Ear Candling treatment. I was intrigued, but slightly apprehensive about this new Hopi treatment. Philip, however, was reassurring and gentle and I found the whole treatment extremely relaxing and beneficial. My ears have now returned to normal and I am looking forward to having another Hopi treatment with Philip, maybe combining aromatherapy essentia oils. I decided to try a Thai Accupressure massage. I knew very lttle about this form of massage but Philip was very informative and immediately put me at ease. The massage was unlike any treatment I had tried before, I remained fully clothed and it involved lots of stretching. Intially I wondered how relaxing it would be, however by the end of the massage I was in a state of complete relaxation and my energy levels felt renewed. I would definately recommend this treatment. Philip is very knowledable and skilled along with being friendly and professional. I plan to book many future treatments! I am not one for using chemicals or medications which are prescribed by my Doctor. Philip Marshall was able to provide me with a 'medley' off essential oils and organic substances which completely solved my pollen allergy and chest cold. He has also provided me with an amazing hand scrub and room spray as well as providing outstanding care for my parents through his services as well as products. I would highly recommend City Marshall, not only for his genuine care and sensitivity as well as confidentiality, but also for his obvious passion and knowledge about his work. This gent knows what he is talking about! !Thanks Phil. Philip's knowledge is amazing! He is very friendly and professional. I use three essential oils which I really enjoy. I am happy with his recommendations for treatments that would be good for me. I will recommend City Marshall to everybody. I attended a series of sports therapy massage sessions (with aromatherapy oils) to help with some back problems I had been having for over a year. I must admit, beforehand, I was a little dubious about how effective they would be. However, after even the first session, it was obvious that my back had dramatically improved. After a few more, my back was almost as good as new. Phil's extensive knowledge and helpful advice have been phenomenal and I wouldn't hesitate to recommend anyone who suffers from similar problems to seek out his services. Many thanks Phil - hugely appreciated! I had reflexology session and felt totally comfortable and well looked after by a professional therapist who was very knowledgeable in his work. Things were clearly explained throughout the session, and I had been in pain for years, the next day that pain had totally disappeared and I have felt a deep total sense of relaxation and calmness, lots of energy and alertness after eight years of medication, i have stopped taking the painkillers and antiacids, and was given some advice on my diet and to increase my intake of water.The price was very good and I am having more sessions of reflexology and some aromatherapy too. I received a 45 minute Reiki session. It was interesting to discover how Philip seemed to pin-point the areas which cause me problems which demonstrate his ability in this field. He also suggested further treatments which I intend to take up. It's good value for money and an individual experience - highly recommended. Type Of Massage: Hot Stones and Deep TissueMasseuse: PhilipThis was only the second professional massage I'd received leading up to the visit. Philip, my masseuse spent a good length of time explaining the types of therapy on offer, to my surprise there were considerably more than I realised. Following the brief consultation we agreed hot stones and deep tissue were call of the day. Firstly Oils had to be selected and given my slight cold there was an emphasis on powerful smells with a decongestant purpose.The session began with an introduction to hot stones, starting with smaller stones gliding across my back in a variety of directions, feeling unlike anything I'd ever felt before! !The longer the session went on the stones began to cool, the now cool stones were placed in key locations supporting the next phase, Philip moved onto deep tissue massage. This built on the hot stones perfectly, almost as if they had been used primarily for preparation. Initially targeting the spinal muscles and branching along my shoulders, although the pressure increased in intensity through this session, at no point was I worried, more fascinated at the skill in the positioning. The application of pressure from the thumbs along either side of my spine was especially potent, and I recommend it highly. Towards the end of the session I mentioned an old injury and this was explored, as well as discussion, in addition were a number of suggestions about posture and general health.Overall I'd highly recommend City Marshall to anyone interested in highly customisable massage experience and I look forward to returning for a spot of shiatsu. I just had my first massage with Mr Marshall and I must say it was fantastic! I felt really comfortable and relaxed the whole time, he is skilled and professional, and my massage was tailor made to suit my personal back problems as he has the knowledge to address individual complaints. He allowed me to test all the oils he used first to ensure I liked them and he also gave me many useful diet and lifestyle tips to help me gain control of my back pain. The massage has made my back less sore already even though I was only with him for 45 minutes, so I will definitely be seeing him again and have been raving about him to all my friends and family. Thank you! The first time I went for a massage was more affective than the second time I went. I'm not sure why but perhaps it was due to the different treatment given. However, I did feel the difference in the strains I was feeling on my back and arms. When I woke up the next day, my back was quite sore but after that, I haven't had any problem. Mr. Marshall clearly knows what he is doing and has only the best intentions when advising on things regarding eating habits and other things to assist in a healthy lifestyle. This isn't the kind of massage you fall asleep to and waking up feeling a difference until you walk out of the room. I highly recommend this place to anyone who wants a proper massage on a regular basis. Not only is the service provided well worth the money, you are given the opportunity to choose oils used and will be briefed on the different styles and oils used and for what purpose. I felt revitalised and relaxed following the Aromatherapy Massage that I received at City Marshall. I was particularly impressed by how informative Philip was, giving lots of advice and information regarding any problem areas I have. I was very impressed with the service and will definitely be coming back. . I was given a wonderful 2 for 1 offer I couldn’t refuse. But don’t let the keen pricing and the excellent marketing fool you – Marshall is a very professional and highly skilful therapist, who really does tailor-make every single treatment on a personal level. I can’t praise him enough and have been telling my friends about him already. Really a huge winner! I did enjoy the massage and I am definitely planning to be a regular customer. I took advantage of an introductory offer from Phillip, meaning myself and a friend attended on the same day for a 90 minute treatment each, and only paid for one. It was therefore extremely good value. Phillip seemed to know his stuff, and knew which oils to use which would complement my many allergies rather than aggravate them. The hot stones treatment I had was very relaxing, and my aches and pains had gone by the end. Phillip was able to tell quite a bit about my health / body, and also commented that I had good all over body tone - can't ask for more than that can you?! I went for the hot stones session for about an hour and had a range of aromatic oils applied generously. Not usually my sort of thing this sort of treatment but Phil makes you feel totally at ease and takes time and care to find out what works best for you, I would recommend it to anyone, made me realise I should take better care of myself, his advice makes me feel far fresher and I recover quicker from physical exercise as a result. After many years, I tried again the reflexology massage and was very impressed by the knowledge of the therapist. It was extremely relaxing and it pinpointed areas which need some further work. I'll be back to have the stone therapy and look forward to it! The location is great in the centre of the city. The massage I had with the hot stones was very relaxing and soothing. I highly recommend that you treat yourself to a very special pampering session. I really had an exceptional massage with Marshall. At first, I was enticed by the amazing value and all the free facilities, but I have been going back 3 times since. The Hot Stones massage is heavenly. The feeling is that of deep relaxation but a nice buzz of calm elation. Words can really not do it justice! And to think that I have also lost a good 4kg of my cellulite as well – what a blissful way to shed weight! I have already sent 2 other friends along and they loved it as well. As a Personal Trainer, massage is absolutely essential for me to keep in good physical condition. Phillip Marshall for me offers an exceptional range of skill in massage and aromatherapy. I had Thai massage which I loved in Thailand and have found difficult to get in Cardiff. Although not as 'rough' as it can be in Thailand, the massage encompassed the whole body and was so relaxing and rejuvinating! Finding spots of tension and working on them with just the right amount of pressure. He is both intuative and communicative, making him an approachable therapist. I'm looking forward to my 'hot stone' massage this week! Keep up the good work keeping Cardiff in condition Phil! Philip Marshall is an accomplished, professional and confident therapist whose treatments are individually tailored to best suit the needs of his patients. His knowledge of holistic and complementary therapies never fails to impress and I have always left a treatment feeling relaxed, revitalised and confident that I had excellent value for money. Just before Christmas I took the advantage of a special offer of having a sports massage combined with the use of aromatherapy oils treatment. This really was a most beneficial and enjoyable experience, it really helped unwind and treat areas which needed much attention. It was the first time I had any kind of treatment from Philip, I found him most welcoming, friendly and full of knowledge. More importantly he certainly knows how to address individual needs. As a chronic back pain sufferer I have seen many therapists over the past 10 years and I can say Philip has been one of the best so far. I look forward to booking future appointments with him. I would certainly recommend him to all my friends and family. My partner and I received consecutive treatments and we both left absolutely glowing, feeling more energised than we had in a very long time. Philip is clearly very experienced in many aspects of therapy. We also appreciated the useful advice on aspects of diet and lifestyle which we have continued to incorporate into our daily lives with positive effects. Thanks! Looking for a high quality eye cream I was delighted to find that City Marshall could make one for me using my favourite aromatherapy oils at a great price .Impressed by its effectiveness I then went on to buy a Dead Sea Salt scrub, a Mud Mask and a Relaxation Spray as gifts for my friends.They too were so pleased with these products that we have now booked an aromatherapy group session for us all .So if you are looking for a special gift for someone I recommend you try City Marshall. I have visited Phil twice now and both times left relaxed and calm. He knows what he’s doing and creates a safe and enjoyable enviroment where you can drift away and enjoy the treatment. Highly recommended and I will use his services when I’m in Cardiff. Cannot praise highly enough. Excellent and very knowledgeable. Helped me relax and taught me interesting techniques. I had a sports massage just before Christmas and found Philip to be very knowledgeable and experienced in his field. He took the time to listen and address the reason for the visit, identify any underlying problems and was holistic in his approach. Excellent value for money and fantastic service. I am happy with the massage and advice that I was given by Phillip. I think he took time to explain what he was doing and why; and I have put into practise his advice about tight muscles and it appears to be helping. I would recommend him to friends and family without question. I had Shiatsu massage last week and I completely enjoyed it. It was very relaxing and made me feel refreshed. City Marshal was very professional and experienced. He was even able to realise that I had a knee problem without me saying anything. The 50% offer was amazing value. It was more than worth it! I took up an exceptional offer through work which included a full body massage (90mins) with hot stones.I would definitely recommend the full length massage as it was completely relaxing and i found it really helped with back pain i had at the time. The service is fully professional with a consultation beforehand and I would recommend this to anyone. The treatments i had were very good. Always very professional and made recommendations for treatments that would be better for me. I enjoyed the massages and returned several times and also referred a friend. He was able to help me with my problems and gave me a lot of advice. I had aromatherapy and it was far better and more professional than all the others I had tried before. Went for an aromatherapy massage for 1.5hours and it was lovely. Felt really relaxed and have now booked further sessions with the hot stones - had a little taster at the first session and couldn't wait to try them properly. One of the best massages I have had. A truly relaxing experience which I will now make a ritual! I recently had a Thai yoga massage session with City Marshall. It lasted 90 minutes. I was excellent and wonderfully revitalising. It left me feeling full of energy and with a lovely happy buzz. I also purchased Dead Sea salts and a mud scrub - both were of excellent quality and value. I think you would be hard pushed to find a better Thai massage in Cardiff, and the additional free access to the spa and gym puts Philip Marshall in a league of his own. Thanks! I have been having lower back pain due mainly to exccess water retention and cellulite build up around thighs and hamstrings as well as upper arms. Marshall recommended a series of 5 hours of hot stone therapy sessions. I have done 3 already and see a huge difference. I have lost about 8lb and feel great. The massage is wonderful and the feeling after is a wonderful elation. Well worth every penny and I especially enjoyed the Dead Sea exfoliation rub - brilliant product and the skin feels lush. Highly recommend to everyone, both for cellulite build-up as well as generally. I had a 90 minute hot stones massage. The treatment was wonderful and left me feeling so relaxed afterwards. Philip was very informative and his extensive training around the world is evident as it was the best massage I've ever had. I'd really recommend Philip to anyone who wants a treatment in Cardiff, as I think they'd be hard pushed to find anyone better. Have been having stress related lower back pain over the last year or so, I felt that it would make sense to have sports therapy massage. I was extremely impressed by the level of attention given by Philip during my first session, and already feel the beneficial effects of the massage. Went to City Marshall after 2 weeks of severe back pain that didn’t pass. The recommended combination of Hot Stones, aromatherapy and deep tissue sports therapy were great. After the first session I could see a huge difference and after the second session the pain was but a far away memory. Highly recommend the professionalism and customer care as well as fantastic facilities. Top class all around. The experience was highly enjoyable and I felt fully relaxed afterwards. I would definitely recommend it to anybody. I especially liked how you got to choose which oils you wanted at the beginning of the session. Philip is an extremely friendly person who gives great service. This was the first massage I have ever had and I really enjoyed it. I would definitely go again if I visited Cardiff more frequently.Thanks Phil! I used to snore quite badly, I have been told. Marshall recommended that I try Hopi Candles. They are wonderfully relaxing and the whole session is very pampering, with a gentle hissing of the flame and the crackling sounds against my eardrum. I opted for the full one hour treatments that included shiatsu facials as well. Had 4 sessions so far and the wife is VERY happy. My sleep is much deeper and the snoring has almost disappeared. It was my first massage ever, and was great. Was made to feel relaxed and at ease. The half price offers at the moment are also great. Would definitely recommend, and hoping to go back for another treatment again soon. I was made to feel very welcome during my visit and was impressed with Philip's knowledge and the array of services offered. I would happily recommend City Marshall to a friend. Very friendly and well trained staff. Great discount offers and promotions. Treatments very relaxing and therapeutic. Great Japanese Shiatsu treatment. I had it done before in the Far East and expected it to be different. I was pleasantly surprised with how similar it was to my initial time and how wonderful I felt during the therapy - practically falling asleep. Very highly recommend City Marshall. Unbeatable price and great customer service. Loved the extra availability of all the facilities free of charge. Pilates class was excellent to. Thanks! As it was my first time having massage therapy I felt a little unsure with what to expect, but the great service and treatment made me feel right at ease and I left with high spirits. The range of facilities and services on offer too is top class. Would highly recommend. I received a 1 hour sports therapy session. If you live in the Cardiff area and need a massage treatment of any kind, look no further. The treatment was explained in detail to me before we started, and I was kept in the loop of all decisions made during the treatment. Philip is a lovely man, friendly, professional and is very good at his job. I walked in sore as anything, and walked out feeling like a new man! I will definitely be using Philip Marshall again!! I had a hot stone massage as it was on offfer the same price as a normal massage. As this was the first treatment i had with him i was very pleasently suprised. The treatment was great felt wonderful and slept wonderfully. Nice price great treament terific value. Received a lovely massage. Phillip was very professional, knew what he was doing, made sure he knew exactly what i wanted and kept checking, and was very informative and friendly. A very relaxing enjoyable afternoon. :). I had a Swedish Massage lately, and not only was it extremely relaxing and thoroughly professional, but Philip gave me really good advice on changing my diet, special exercises and other useful things! I would definitely recommend Philip! Super treatment and customer care. Can’t praise Philip highly enough, especially being as this was my first ever complementary therapy. I loved his Reflexology as I do like my feet being pampered. His foot bath in warm lavender water was heavenly and helped ease me into the treatment that followed. I felt very much revitalised and up-beat for the next 48 hours. Went back a few days ago for Hopi Ear treatment. Again, a huge success, as I was very comfortable and felt hugely relaxed. The Shiatsu facial after the candles was amazing. I will certainly go back and do both treatments at least once a month. Aberdare Halls student. This was my second visit to City Marshall. Philip first treated me with a straightforward Sports Therapy, but suggested using Hot Stones (black volcanic basalt stones) for this second visit. He was certainly right. The stones really eased my muscular tension and allowed very deep and profound neuro-muscular trigger pointing without too much discomfort. In fact, the end feeling was of wonderful relaxation - a sensation that i have long forgotten after months of discomfort. Even three days later, I still felt a comforting warm 'buzz'. I shall be visiting Philip at least twice monthly and sometimes even weekly from now on. Highly recommend him! Only too pleased to recommend Philip. His Japanese Shiatsu massage is excellent. The 90 minutes flew by and I was left feeling very profoundly relaxed. His Reiki healing hands are wonderfully powerful. I feel so much better. Many thanks for the 50% student discount! Hot Stones and deep tissue sports massage. City Marshall takes pride in his work and works fastidiously with his technique, whilst explaining with care and attention, the procedures he is carrying out. The environment is conducive to relaxation and privacy and it is overall a very pleasant experience. The work on my leg muscles were successful. Highly recommendable and at the price he is a league above other masseurs. I had a 90min hot stone therapy and aromatherapy massage, after being allowed to use the steam room to relax me first. Philip really knows his stuff I and I felt very light and energised afterwards. Will be going back next week to deal with a shoulder pain i've had for months. i'm optimistic this treatment will really help. Went to City Marshall after winning a free 1 hour massage in a competition. Having never had a massage before, I was a little apprehensive as to how it would work. Marshall was reassuring and seemed very knowledgeable of his trade, offering many helpful hints and ideas for the future. The full Swedish body massage left me feeling very relaxed and I would definitely consider returning and recommending to friends. Just got back from a full body aromatherapy massage and i feel relaxed yet up lifted. The treatment was adapted to benefit my personal needs. On arrival i was shown to the facilities within the building which included the wet and dry sauna's and the gym area. (which you get to use free of charge with treatments all day long) You can also join any of the classes on that day (not sure if also free or 20% off) Very welcoming and the staff all seemed very polite and helpful. I have booked another treatment for next week and would recommend you try for yourself. Really good deal and great for a girlie day or pamper. I was directed to the sauna and steam room in which I thoroughly relaxed. I got to personally choose three aromatherapy oils which I really did see the positive effect of later. I then underwent the most incredible massage in which Philip highlighted and worked on muscles that I didn't even know I had a problem with until then. Definitely recommend City Marshall as this it is very professional, experienced and most of al friendly. I found Philip enthusiastic, knowledgeable and I was very happy with the treatments he performed. Had a 90 minute full Thai yoga massage. Didn’t really know much about it, but was very pleasantly surprised. As Marshall said, it is very balancing and VERY more-ish. Really filled me with energy and those yoga stretches are great! Marshall is very professional and extremely well-mannered. Will recommend him with pleasure to all my friends. Very impressive all round. Phil explained everything clearly and made me feel very comfortable. Can't recommend highly enough. I am happy to share my wonderful experience with MARSHALL'S treatments. I met him after having neck pain, that passed after 15 minutes of treatment, a pleasant and professional one. In the next session I got a full body "dry" massage (with clothes still on) major shiatsu treatment in some special points. I felt "born new" feeling. I decided to leave my body to be treated by MARSHALL once a week, due to unbelievably professionalism and knowledgeable skills he has with so many kinds of treatments, after learning it 12 years all over the world in japan china, thailand and other places. I am happy to recommend MARSHALL to all my friends. I had an aromatherapy message with hot stones therapy and crystals plus Reiki chakra balancing, it lasted an hour and a half, very relaxing and extremely worthwhile, I would recommend it to anyone.